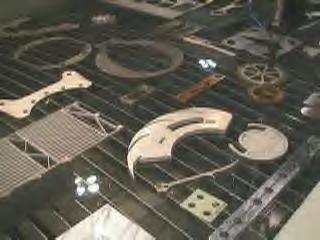 Adeptus Industries offers fast, precise waterjet abrasive machining. Our OMAX Waterjet centers use water traveling at over twice the speed of sound to cut virtually any material including metal, glass, plastic, ceramics and composites. Just send us a .DXF file or CAD drawing: we will meet your needs for machining production runs or prototype parts up to 2" thick, with tolerances as close as +/-.005. Since no hard tooling is required, designers and engineers can explore ideas that may previously have been too costly or time consuming to consider. Adeptus Industries has been serving the industry since 1970 and also offers complete CNC machining, metal fabrication, all types of precision welding as well as metal polishing, powdercoating and plating. 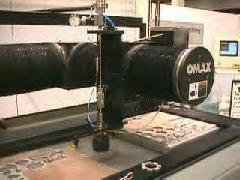 Click here for more information on waterjets.